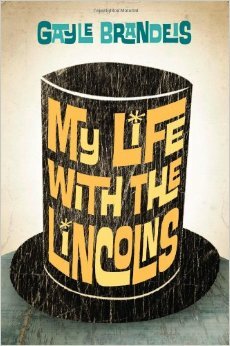 Twelve-year-old Mia Edelman is absolutely convinced that her father is Abraham Lincoln. Well, the reincarnated version of Lincoln anyway. She also believes that she is the reincarnation of Willie, the beloved Lincoln son who died when he was twelve. Certain that she will die just like Willie, Mia decides to commit her few remaining months to protecting her father from potential assassins. Unfortunately, Mia’s father does not make it easy for her. He becomes an outspoken activist of the civil rights movement in Chicago during the summer of 1966. His tireless help with the Chicago Freedom Movement makes him enemies in the white community and causes tension within the family. When Mr. Edelman decides to bring the Movement to the quiet town of Downers Grove, it’s all Mia can do to shield her father from Lincoln’s fate. My Life with the Lincolns by Gayle Brandeis, takes us into the turbulent world of 1960s Chicago where racial equality, as in Lincoln’s time, is still a battle to be fought.